I know you're scared. I know your world has just been turned upside down and it will never be the same. You've probably heard of NICU's before, maybe even had friends who had babies in them for a few days, a week, maybe longer. And you probably thought that was the worst thing you could possibly imagine. But open-heart surgery on a baby? Your baby? For real? I've been there. In your shoes. Freaking out. I knew it was going to be bad. Really bad. Actually, no, that's not entirely true. I thought I knew how bad it was going to be. But, honestly, there's nothing that can quite prepare you for your baby being taken from you into an OR to have his chest cut open and returned with countless tubes and wires, seeing that tiny walnut sized heart beating through mesh. They tell you your child's broken heart will be mended by a world class surgeon. But they don't warn you about your own heart. That, as your child's heart mends, your own heart will be battered and bruised. That there will be scars left behind. That there will be no surgical cure for the breaks in your heart. Thankfully, mercifully, I did not know how bad that would be. But what I really didn't know, and I so wish I would have, is just how great it would be. The amazingly incredible moments. The moments that would literally take my breath away from the sheer beauty of them. The moments I would see God's own hand undeniably on my child, feel His presence in my dark hours, see His love through the doctors and nurses caring for my son. The moment I would hold my son for the first time, and wouldn't see the tubes, the lines, the wires, but just my son. That I would always, amazingly, see just my son. Not the tubes, the wires. Just, my son. The moment he would take his first bottle and I would think "I'm feeding him! I'm really feeding him!" The moment, at 6 weeks old, that he would go home, finally, from the hospital. The moment he would roll over, crawl, walk, run, jump. That it wouldn't matter how "late" those things would happen. That, all of the sudden, the schedule we were supposed to be on didn't matter anymore. The moment he would talk...and when I realized he wasn't ever going to stop. The moments go on and on. So many, many amazingly incredible moments that weren't overshadowed by a broken heart and endless hospital stays. 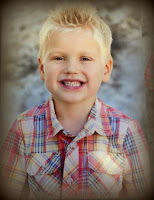 Rather, they were made more clear, more beautiful, more sweet, by what my son overcame to make it to those moments. I wish I had known that I would be more proud than I ever thought I could be. I wish I had known that I would see my son's strength and indomitable spirit in my weakness and brokenness. That I would see my daughter become the ultimate protector, that she, too, would find her own journey in all of this. That I would see strength I never knew my husband possessed. That our marriage, put through a fire, would be strengthened. That God could bring me ever closer to Him. 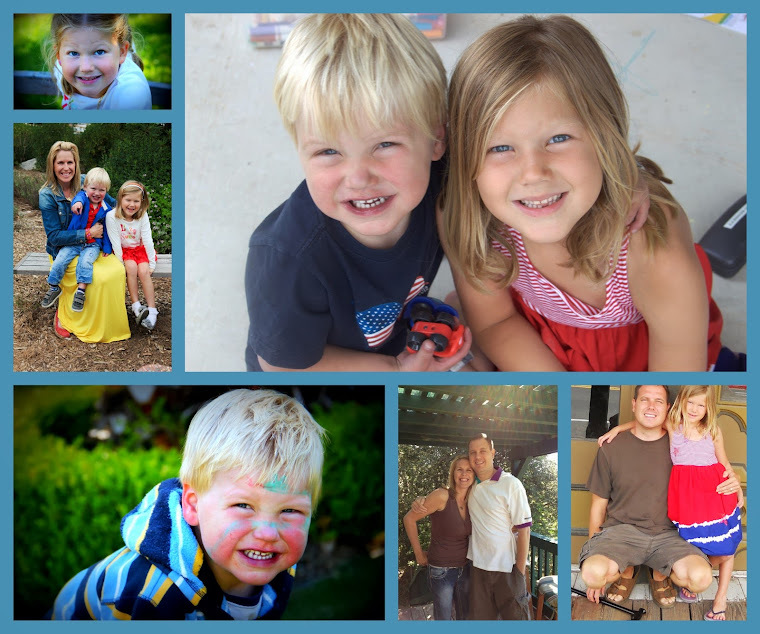 Raising a medically fragile child isn't for the faint of heart. It's hard. Harder than you can possibly imagine. And none of us know how long our journeys get to be with our special children. But, oh my word, however long the journey is, is it ever amazing. I wish I had known just how incredible it would be, how my life, and my daughter's and my husband's, that they would all change for the better. 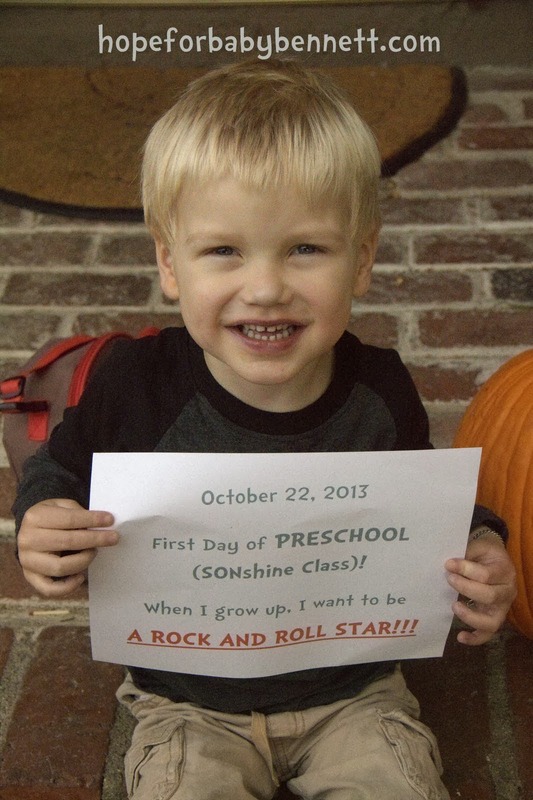 That the changes in our lives would have a ripple effect out to anyone who meets my son. That the world is a better place because we chose to give our son life. So, I know you're scared. I get it. I remember being so scared I couldn't even bring myself to have a baby shower for my son. I was too scared to get presents that we might never use. But in the midst of the worry, let me be the first to tell you, there are good times ahead. I wish I had known going into this that the journey wouldn't all be bad and scary. That there would be great times. Amazing moments. Moments that will capture your heart, forever change it, and leave you blessed for having had a medically fragile child. People will call you strong and think to themselves how lucky they are that they haven't had to go through what you've faced. But you'll know. You'll know in you heart that you're truly the lucky one. 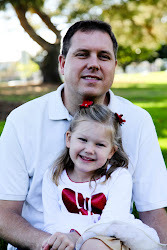 Lucky to get to parent an angel here on earth. So tonight, as you fear for the future of your unborn baby, know that amidst the darkness, beautiful moments of light lay ahead. More than you can even know right now. Lift your head up and look for that light. I know you're too scared to believe that it's there. The kids and I got back yesterday from an awesome weekend up at my parents. And then, we got to go to dinner with some pretty special peeps. During the course of Bodie's journey, we've have the pleasure of meeting some pretty incredible people. People who might never have crossed our paths were it not for Bodie's heart. These two are at the top of the list of favorite people we've met that way. Cole is a football player at Cal Poly, and is the one who walked with Bodie down the hill when Bodie was the honorary captain last Fall. And Katie is a sports writer for the Mustangs. We got to know them last Fall and have kept in touch since then. Both of these 2, by the way, are graduating this spring - and totally on the way to the NFL. But I digress. Their stellar accomplishments are not what this post is about. This post is about how awesome they are. These two incredibly nice and thoughtful college students, who take the time out of their busy schedules to love on our family. How lucky are we??? So so lucky. Even if Bodie doesn't always think so. I tell ya, if every graduating college senior was like these 2, our country would have a bright future indeed. Their parents should be so, so proud. After dinner, we went to the Cal Poly basketball game and had a ball. And then, we ran into Cole again. And because he's just such an incredibly kind and generous guy, he took Sierra over to the cheerleaders. And we saw the sweet cheer coach who we met last Fall. The one who let Sierra meet all the cheerleaders and hang with them during halftime last time. And this time, totally unexpectedly, she got to cheer. Because I SO COULD NOT. And, you know, get thrown up in a stunt or two. Or, maybe Bodie, because he got to climb all over places he wasn't supposed to climb while I was taking pics of Sierra. After the game, Sierra got to dance with the cheerleaders on the floor. And Bodie got to meet the basketball players. Who he totally ignored (seriously). And the tuba player. Who he totally did not ignore. And press some keys. He was pretty impressed. But I'll be honest. When we got home and called daddy to tell him all about the evening, he was most excited about the rib sandwich he won on the AMPM scratcher Cole gave him. This kid is so weird sometimes. Like I said, we're beyond blessed to have Cole and Katie in our lives. Sometimes, big things come in little packages. And sometimes, they come in the completely unexpected form of big, burly football players with hearts of gold. Thanks for being our guardian angels, Katie and Cole. We love you guys! Minions for our Minion, Part 2. Everything Else. 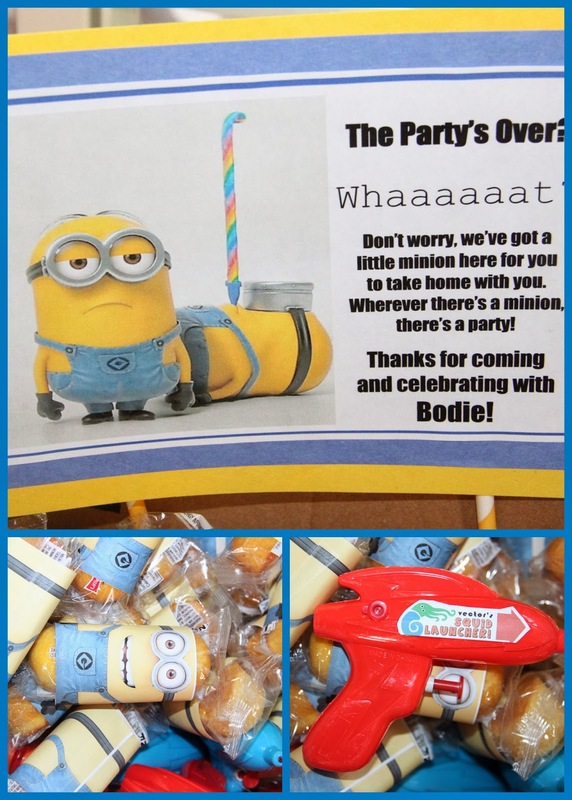 As I mentioned in Part 1, yesterday was Bodie's birthday party and we had an awesome Minion themed birthday party! I should preface this post by mentioning that every.single.idea (yes, every cotton picking one) was stolen from someone else. I don't have an original thought in my head. Seriously, peeps, I'm an accountant - there's just no room for both creativity and numbers. It's one or the other, I'm afraid. Thank God for the internet. That's all I gotta say. Anyway, check out this party! My kids are absolutely obsessed with Despicable Me and are quoting both movies all day long, so it was super fun to use it as our theme! 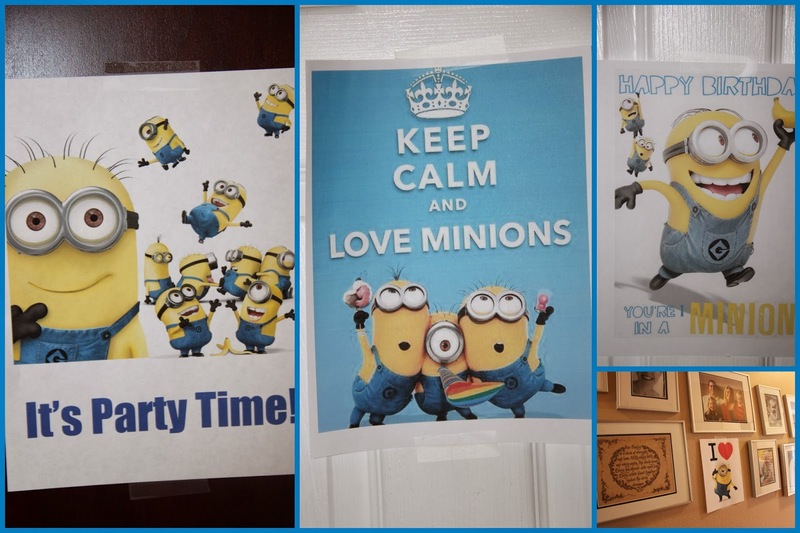 …Minion signs everywhere. Minions even made it into our wall of family pictures. and on both the outside and inside of the bathroom door! Chips, guac and salsa, brought to you by "Salsa & Salsa"
We also had that amazing cake and marshmallow brownie things which the kiddos LOVED. 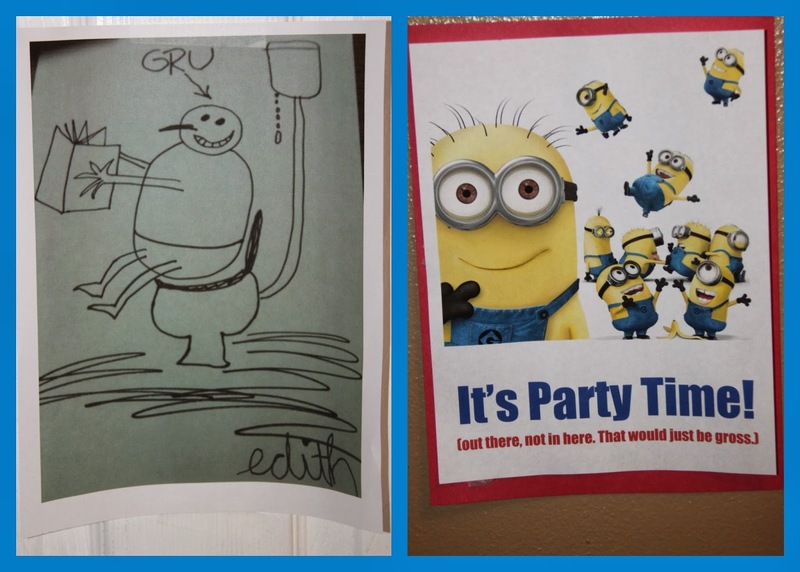 We played "Pin the Goggles on the Minnion," which turned out to be super cute. 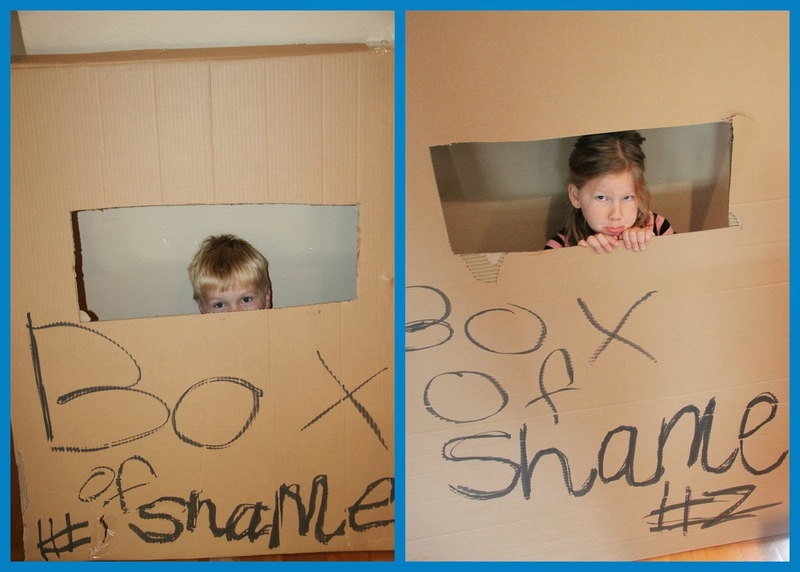 I will say, in talking about what a "fun and easy" game this was to create, Pinterest didn't mention the part where my almost 4-year old would be thrashing around on the ground, sobbing, because his eyes were covered and "I can't see, mama!!!!!" Pinterest FAIL. But, in true kid style, they played the games for about 30 seconds (well, except for the aforementioned Piñata) and then destroyed the kids' bedrooms for the remainder of the party. That's ok, they had fun, which is all that matters! For favors, we had "minions" (twinkies) and "Vector's squid launchers"
Connor (such a LOVE), Barbara, Bodie and Townes - and Jeni, a 28-year old HLHS survivor!!! I have such a fondness in my heart for these 3. Barbara was Bodie's roommate after his Norwood and Townes was the first CHDer we met in person - and has been a constant source of hope and friendship for our family! 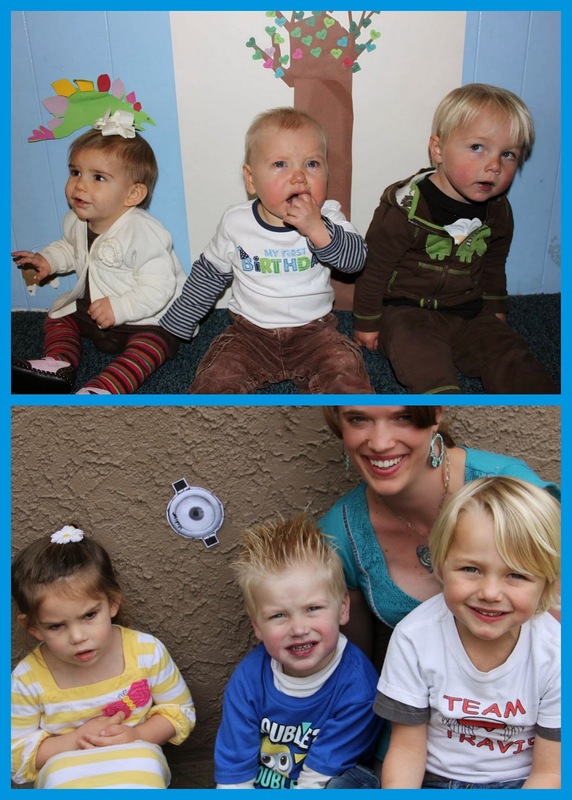 I love that these kiddos have been in Bodie's birthday picture every year. From 2010 to 2014…I'd say that's the picture of "we've come a long way, baby!" Happy Birthday, Bodie! We love you SO much! P.S. Thank you for picking Minions for your birthday party instead of water buffalos. Seriously. Thank you so much. Minions for our Minion, Part 1. The cake! Bodie's 4th birthday party was yesterday. He initially wanted a water buffalo theme (yes, you read that right - it's a long story). Thankfully, he switched to Batman, and then eventually landed on Minions from Despicable Me. And we are SO grateful, because the party turned out absolutely adorable! 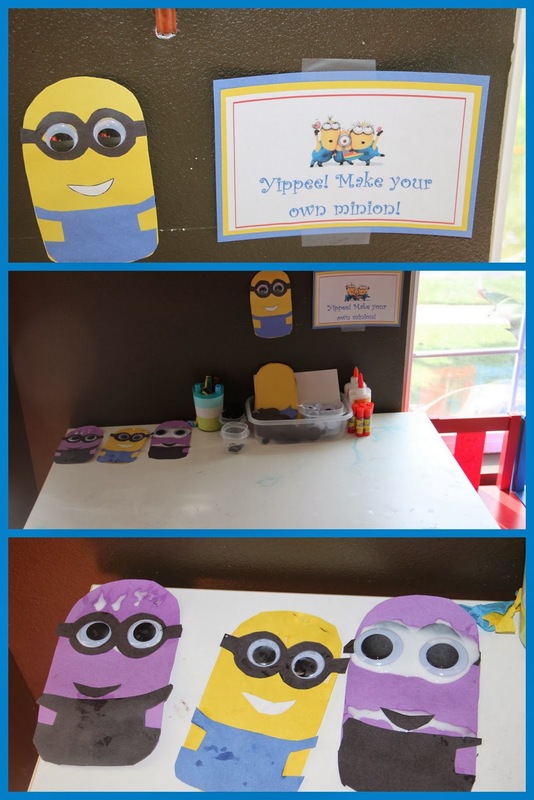 There are just so many awesome things you can do for a minion birthday party! We'll start with the cake, which truly deserves a post all its own. You may remember Icing Smiles providing cakes for both kids' birthdays Bodie's first year. Icing Smiles is a charitable organization that matches families of medically fragile children with bakers, who provide amazing cakes at no charge to the families. They did an incredible job that year, and, given how tough Bodie's year last year was, we decided to use them again this year. And oh my goodness, were we ever glad we did! They connected us with the.most.incredible baker on the planet, Christine Jelloian of Sweet Creations by Christine! Bodie and I took a special trip to meet her yesterday morning to pick up the cake. You see that flipping adorable cake peeking out behind Bodie and Christine? 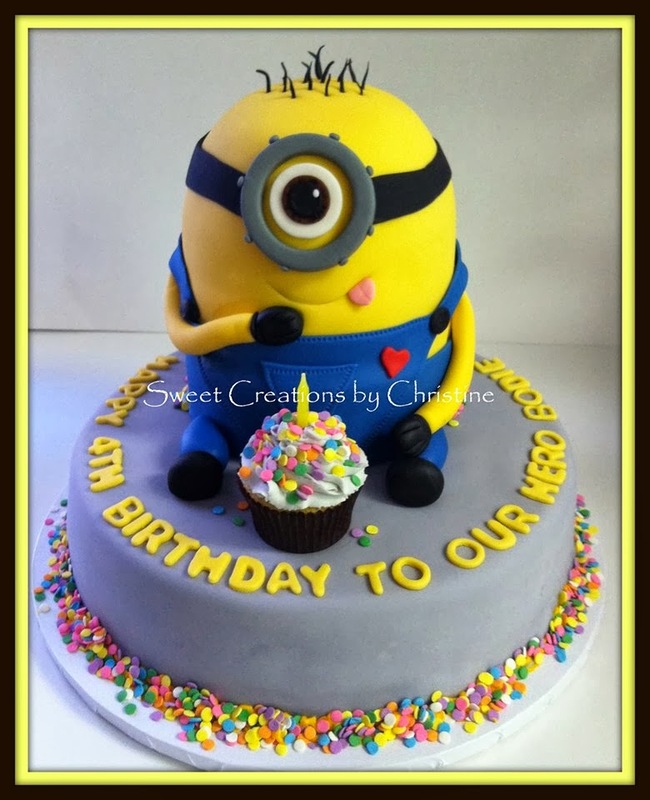 Here it is in all its glory - an amazing, beyond adorable MINION CAKE!!! 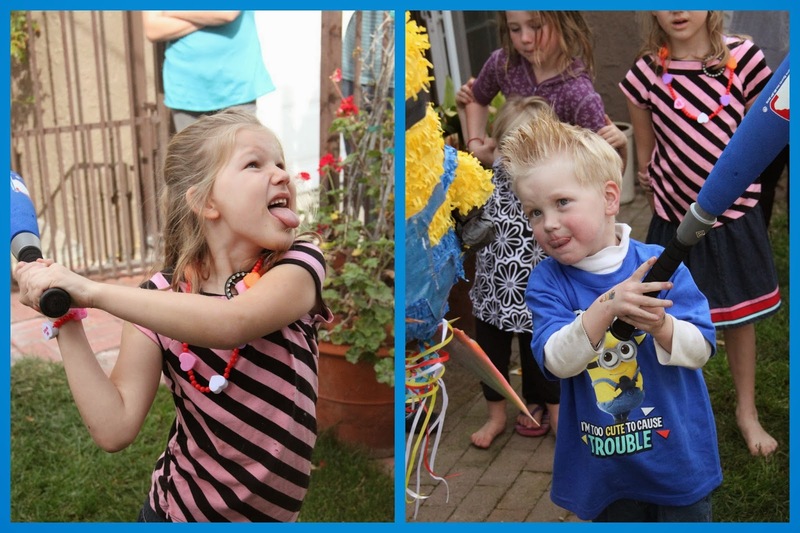 It went perfectly with our party theme of Despicable Me! And it was absolutely as delicious as it was adorable! How amazing is this cake?!? Look at that detail! The birthday boy with his cake. And have I mentioned that this, all of it, was completely voluntary? Are you speechless right now? You should be! Please go to Christine's Facebook page (linked above) and show her some love from Bodie's fans! Thank you, Christine and Icing Smiles, from the bottom of our hearts!!! You truly are "sugar angels" and your generosity means so much to us! Red for our Hero, Take 3!